With the ratification of the Treaty of Cession by the Governments of India and France, on 16th August, 1962, the French establishments of Pondicherry, Karikal, Mahe and Yanam became territories of the Indian Union with effect from that date. This Bill provides for these territories being specified in the Constitution itself as a Union territory called 'Pondicherry'. Under article 81(1)(b) of the Constitution, not more than twenty members are to represent the Union territories in the House of the People. This maximum has already been reached. The Bill accordingly seeks to increase this number to twenty-five to enable representation being given immediately to Pondicherry in the House of the People and to provide for future contingencies. The Bill also provides for representation of the territory in the Council of States. It is proposed to create Legislatures and Councils of Ministers in the Union territories of Himanchal Pradesh, Manipur, Tripura, Goa, Daman and Diu and Pondicherry broadly on the pattern of the scheme which was in force in some of the Part C States before the reorganisation of the States. The Bill seeks to confer necessary legislative power on Parliament to enact laws for this purpose through a new article 239A which follows generally the provisions of article 240 as it stood before the reorganisation of the States. 1. Short title.-This Act may be called the Constitution (Fourteenth Amendment) Act, 1962. 2. Amendment of article 81.-In article 81 of the Constitution, in sub-clause (b) of clause (1), for the words "twenty members", the words "twenty-five members" shall be substituted. "9. Pondicherry: The territories which immediately before the sixteenth day of August, 1962, were comprised in the French Establishments in India known as Pondicherry, Karikal, Mahe and Yanam.". 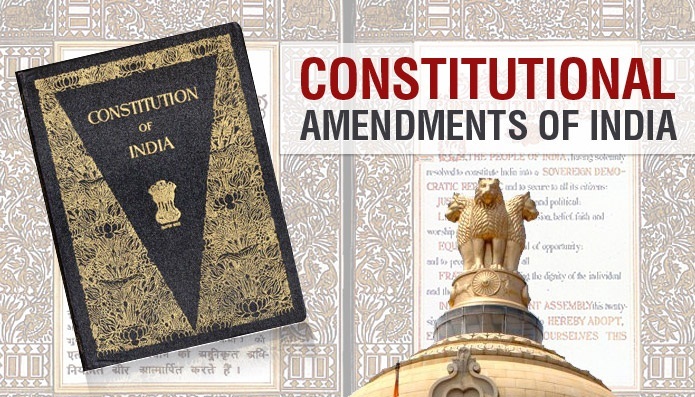 (2) Any such law as is referred to in clause (1) shall not be deemed to be an amendment of this Constitution for the purposes of article 368 notwithstanding that it contains any provision which amends or has the effect of amending this Constitution.". "Provided that when any body is created under article 239A to function as a Legislature for the Union territory of Goa, Daman and Diu or Pondicherry, the President shall not make any regulation for the peace, progress and good government of that Union territory with effect from the date appointed for the first meeting of the Legislature.". 7. 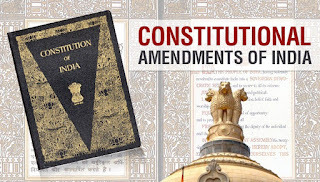 Retrospective operation of certain provisions.-Section 3 and clause (a) of section 5 shall be deemed to have come into force on the 16th day of August, 1962.